As the CEO of your business it is your responsibility to know what is going on in your business. And not just from what’s going on in operations. You need to know what your finances say about your business. A big part of being the CEO of your own company is understanding the numbers in your business. What do they say about your business? What do they mean? In order to effectively operate your business, you need to be aware of some key financial metrics in your business. Current ratio measures your ability to meet your short term debt obligations as they come due. Short term debt obligations are those debts that are due within the next 12 months. Quick ratio measures your ability to meet your short term debt obligations as they come due using only your assets that are the most liquid. 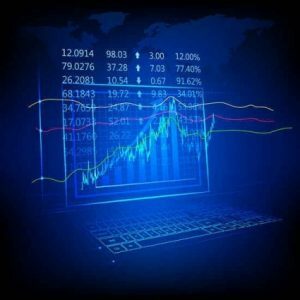 It is very similar to the current ratio with the exception that is only factors in assets that can quickly and easily be converted into cash. For example, inventory would not be included in this ratio because it cannot be converted to cash quickly; it takes time to sell. Accounts receivable turnover is the number of days it takes for you to collect your sales from customers. This metric is important because it can shed some light into whether or not your customers are not paying you quickly enough. From this metric you determine if you need to implement some strategies in place to help get your receivable sooner, such as a discount for payments received within 15 days. Accounts payable turnover is the number of days it takes for you to pay a bill. This metric is important because it can help you discover whether you are paying your vendors too quickly, which in turn could be hurting your cash flow. Working capital is the value by which your company’s current asset exceed your current liabilities. This metric is a dollar amount and should not be confused with the current ratio which is a decimal or percentage. Return on equity, or ROE as it is commonly referred as, tells you how much profit your company has made in relation to the amount of equity that has been invested. The break-even point is the point when your company begins to make a profit. It is the point when your revenues equal your expenses. It is important to know this metric because knowing it helps you determine your pricing to ensure that your business does in fact make a profit. Profit margin tells you how much money you are making per sale. This number only factors in your costs that are directly related to your sales. It does not factor in costs such as rent, utilities, and office expense. These expenses are your overhead or operating expenses. Sales conversion is the metric that tells you how many people you have to talk to and for how long before you turn that prospect into a sale. It is the number of closed deals as compared to the number of opportunities you have encountered. It helps you determine whether or not the marketing efforts you are putting out there are bring you back qualified prospects. Once you have calculated these ratio, perform some analysis by comparing them to different periods in your business to see how your company has grown. And also compare them to other business in the industry to see how you are performing compared to your competitors. What metrics do you use to tell you what’s going on in your business?